At the Waterloo, every dish we serve is made fresh daily! Stop by every day to get a great breakfast (served all day and night), lunch or dinner. Our famous desserts are always available to celebrate any day with sweet goodness. We use the freshest ingredients and know you will appreciate our home-style cooking. We have patio dining for those who love to relax outside and private rooms for when you want to bring more than a few friends or business associates. We have a full line of specialty coffees, teas and milkshakes when you just want to escape and have a moment with a friend. 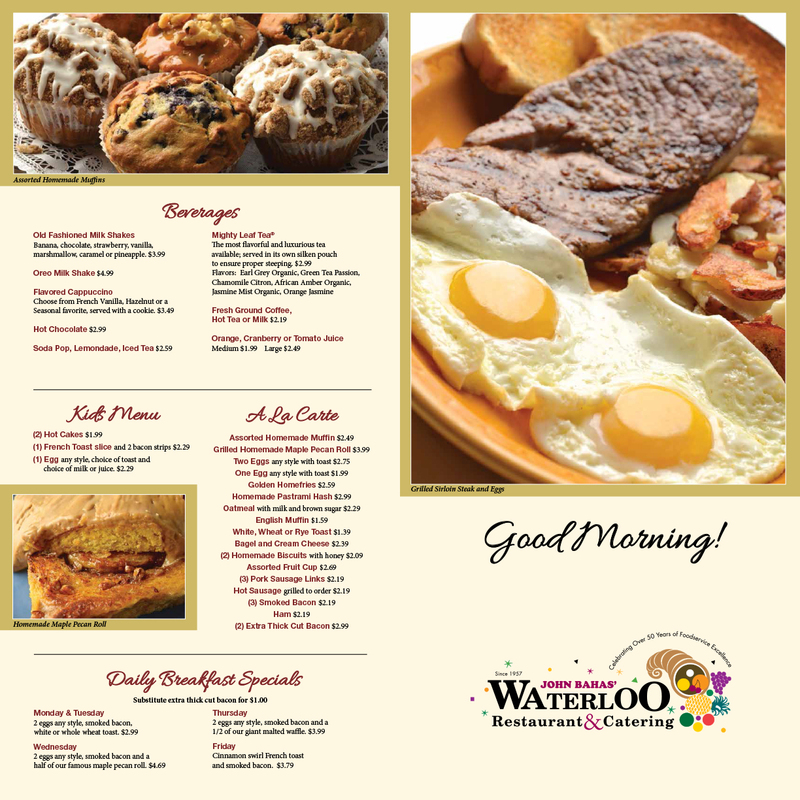 At the Waterloo Restaurant and Catering, we proudly make food fresh daily. Check out our famous BBQ Ribs, Bison Burgers, and our new New York Club. Experience Waterloo Restaurant and Catering, every day, and see what everyone is talking about.